Your sermon content is the most important content that your church produces and distributes. It’s crucial that you re-purpose sermon content in as many beneficial ways as possible. Sunday should not be the only day that people hear your sermon. Proper sermon re-purposing can mean the difference between effectively engaging your church members all week long or losing their attention throughout the week. Here are five ways to re-purpose your sermon content like a champ. Without question, you should upload videos of your sermons to YouTube for member and public replay. Also, you should give your members a public link to a livestreamed church service on Livestream. This allows you to engage church members at home (whether they are traveling, sick or shut-in) through video. Do you have Twitter, Facebook and/or Instagram accounts for your church? If so, you can post the best quotes from your sermons on top of inspirational images. These quote and image combos are a fantastic way for people to consume little bite-sized messages from your church. And they tend to spread around the web very quickly, helping your church spread the light of Christ to the public while engaging your members. If your church or pastor does not have a blog, start one ASAP. The process is simple. 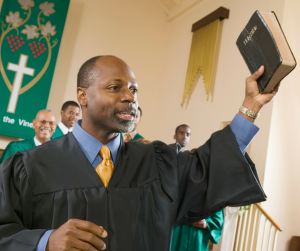 You can take the major sermon points and use them for an outline for a blog article. Or you could publish a cleaned up sermon transcript as an article on your blog. This tactic is a great way to spread the important points of your sermon (which should include the gospel) to your members and the public. Don’t forget to regularly tweet and link to your blog articles on Facebook. You may wish to take the livestream idea one step further by creating a weekly podcast for your church. A weekly podcast will allow people to hear your sermons and replay them as often as they like…from wherever they like. A podcast is the most convenient audio content medium. After you post the sermon podcasts on your website, they can be easily distributed through various channels. These podcast distribution channels include iTunes, TuneIn, Google Play and Spotify. Leave a godly legacy through a book! You can gather together the best of your sermons (or a specific sermon series) and publish them as a book or e-book. This is a great way to spread God’s truth is an organized fashion and get more publicity for your church and sermon content. Books do a great job in getting a message and a stance out to the public. And a book often outlives its author, so the message can have a major impact for decades…even centuries. These are only several of the many ways that you can re-purpose sermon content. If you like these ideas and would like to learn more about how to fully engage church members, purchase The Connected Church eBook and contact us today. We will be more than happy to give you more great info on how to edify and energize your existing audience even as you expand the reach of your content.